Men and those looking to gift the man in their life with a unique gift should look no further than Birchbox. The original cosmetics sample subscription box has a curated a box catering to men’s grooming and hygiene needs. Since its inception, women have raved over the convenience and benefit of sampling new and classic beauty products conveniently delivered each month. Men are not immune to fine grooming needs. 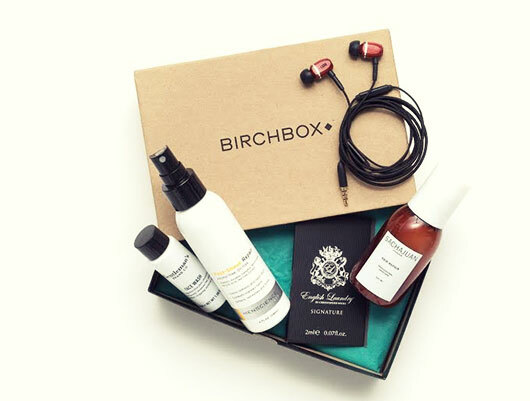 Due to popular demand, Birchbox created a specialized Birchbox for men. Delivering men’s essential grooming and hygiene products, the special Birchbox edition pampers men by meeting their needs with quality products. Beard and shave products? Check. Shampoos with a masculine scent? Check. Skincare catering to the man’s facial needs? Double check. With the recipient receiving a monthly delivery featuring four samples and a full-sized product such as a gadget, bar tool, or stylish accessory. Head over to Birchbox to try the subscription for yourself. It’s $20 per month and subscribers are able to cancel anytime. Let us know what you think about it!